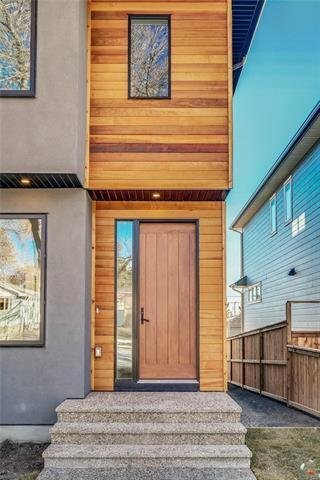 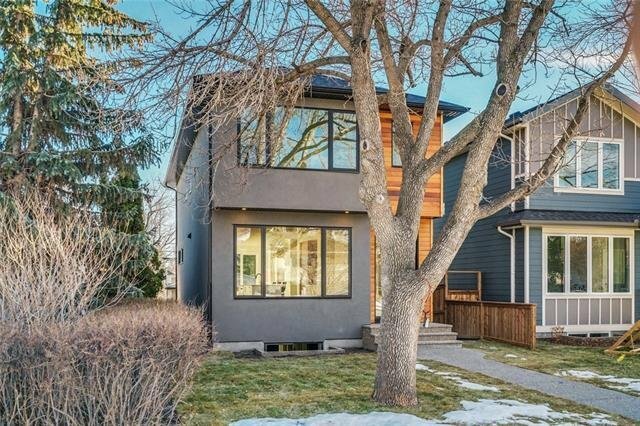 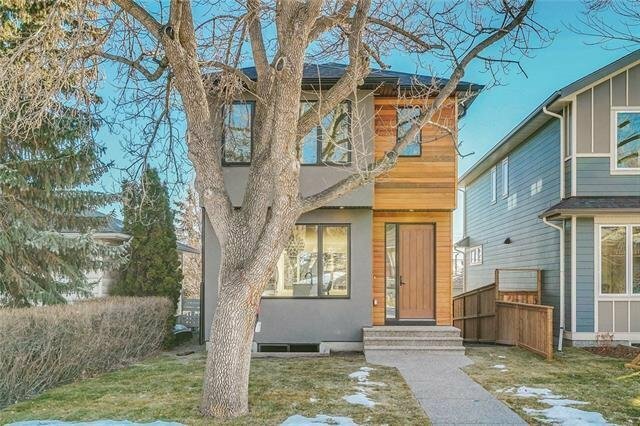 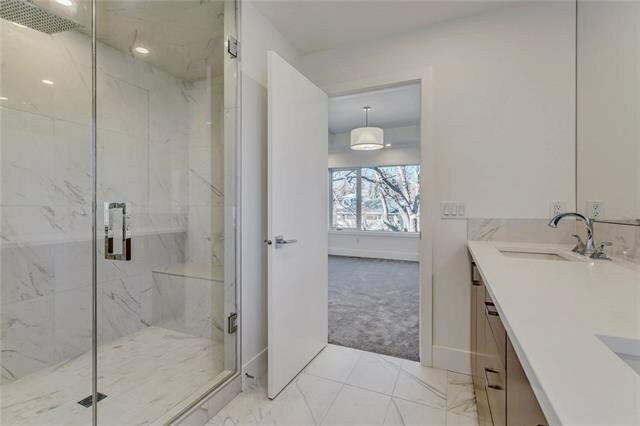 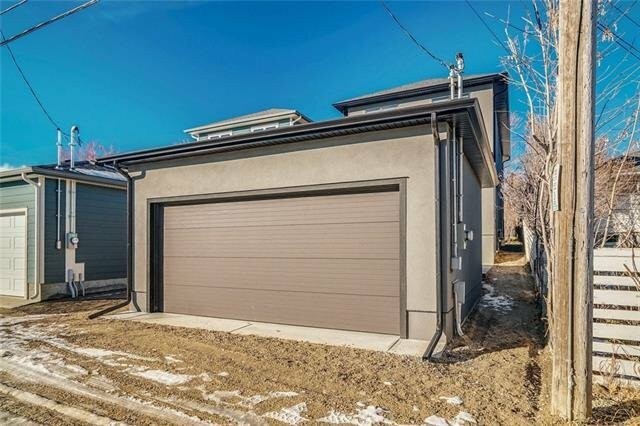 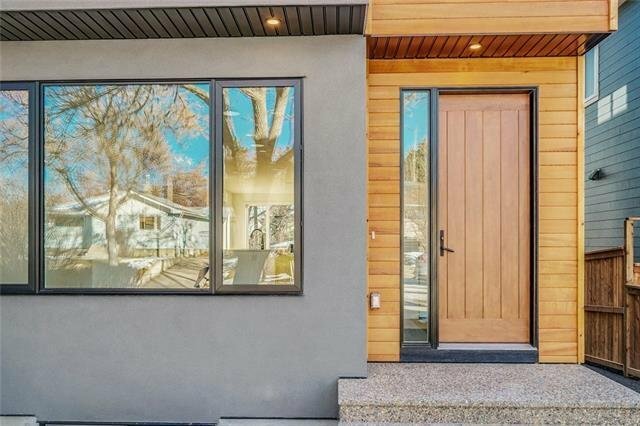 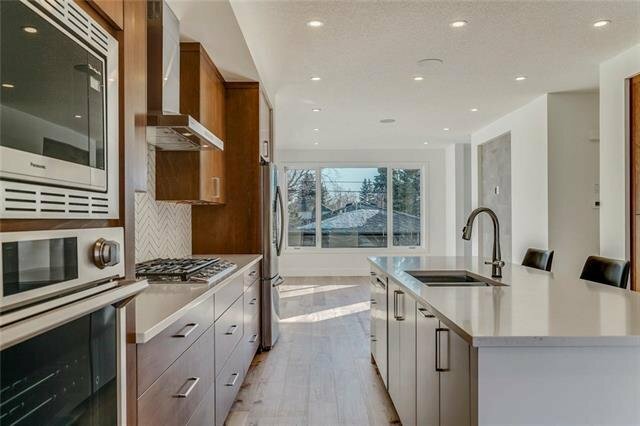 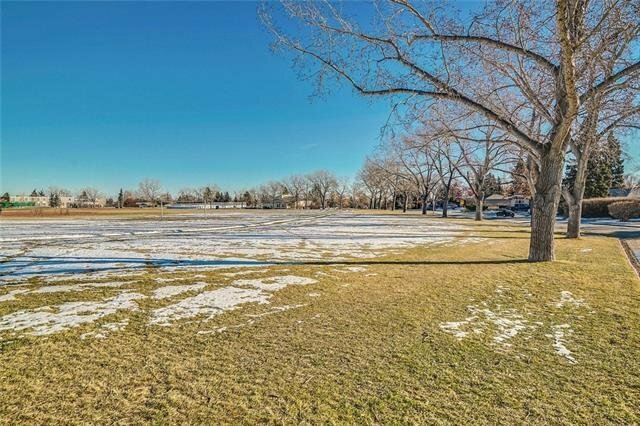 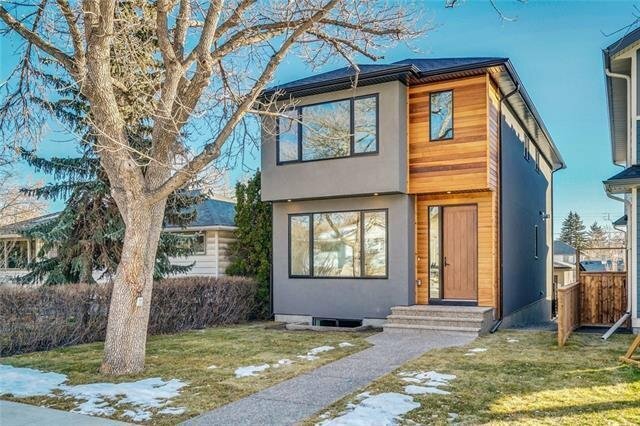 Contemporary detached home on a 30' wide x 100' deep lot totalling 2550 sq' - just across the street from Highwood Park along with Highwood Elementary & Colonel Irvine Jr. High. 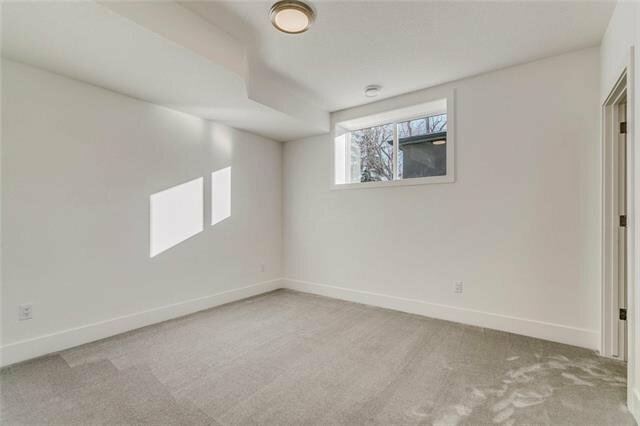 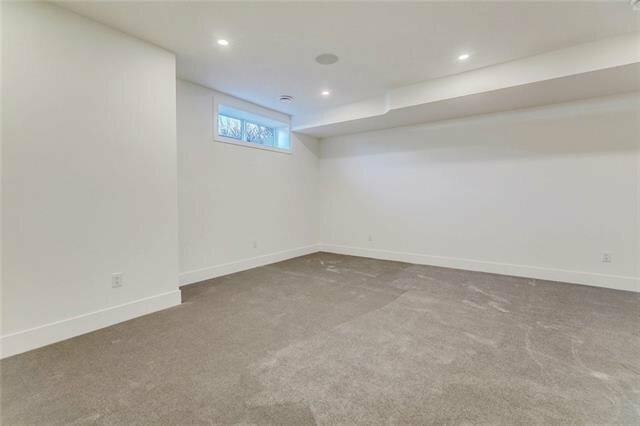 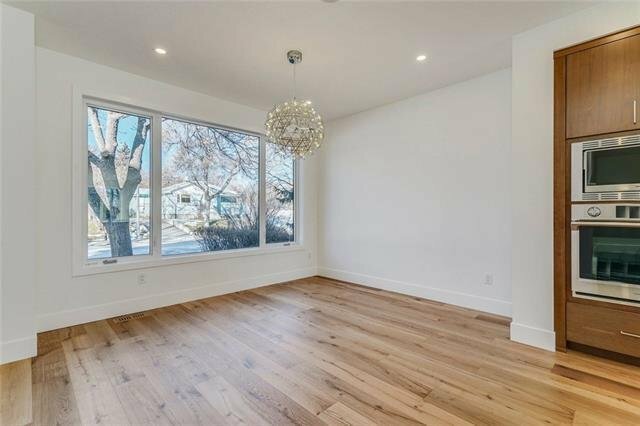 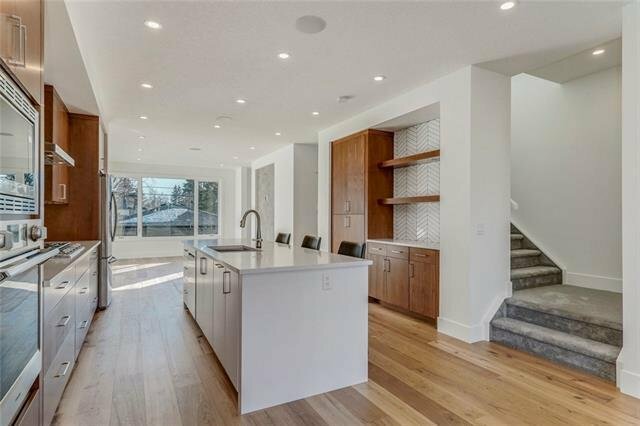 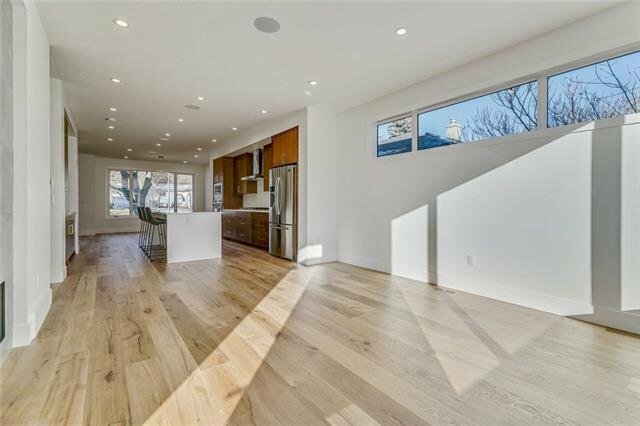 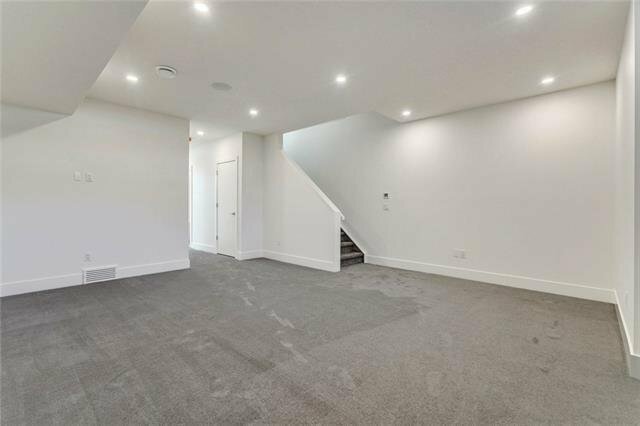 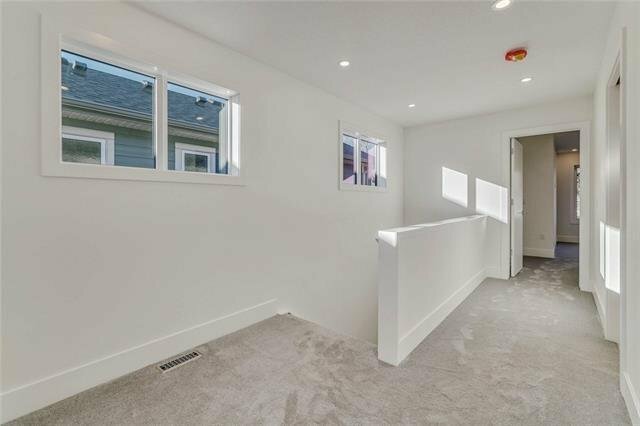 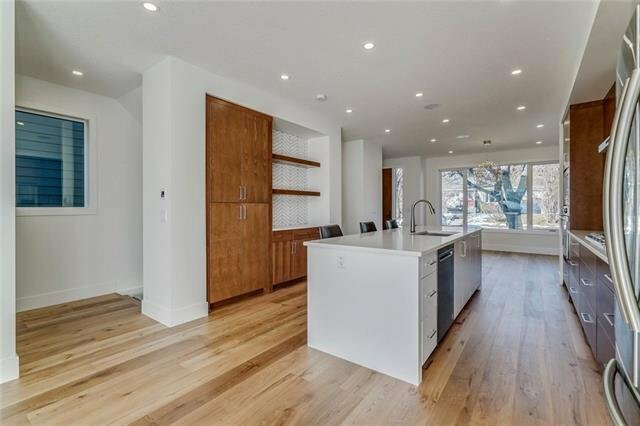 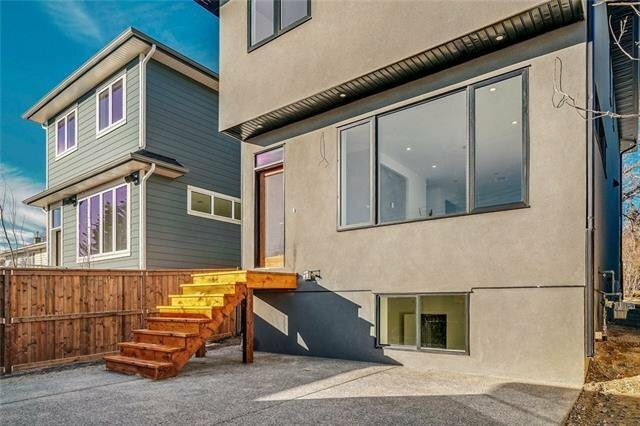 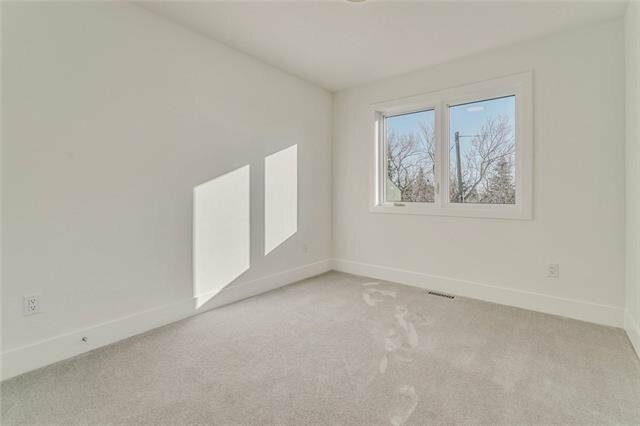 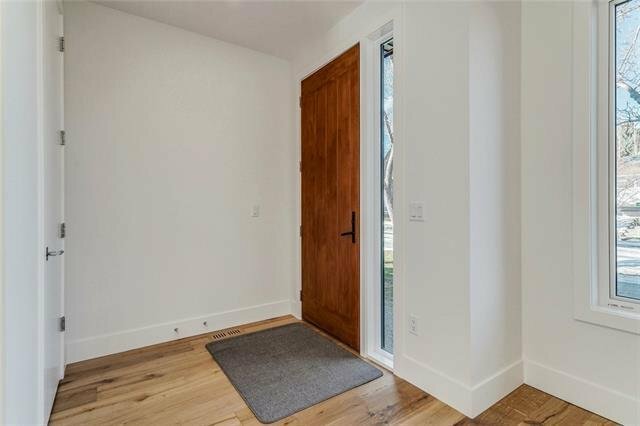 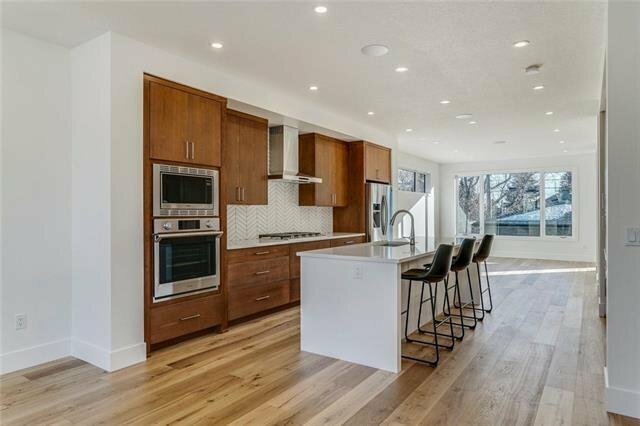 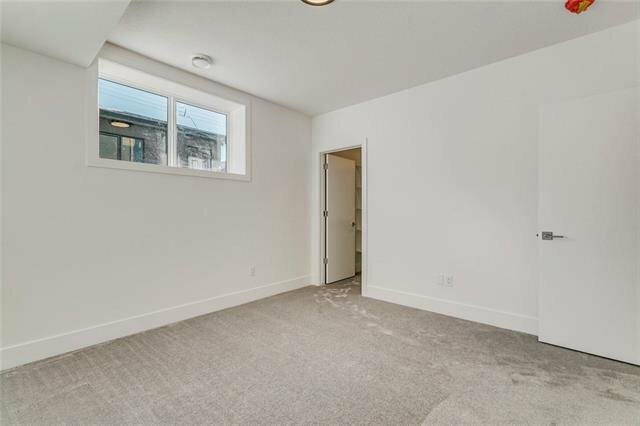 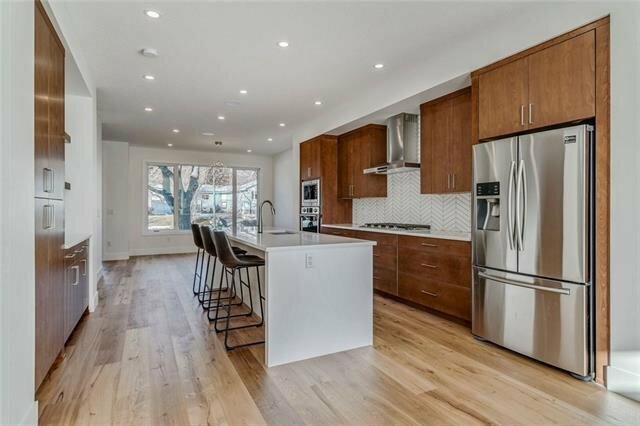 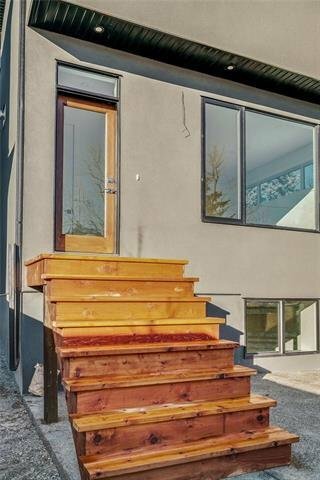 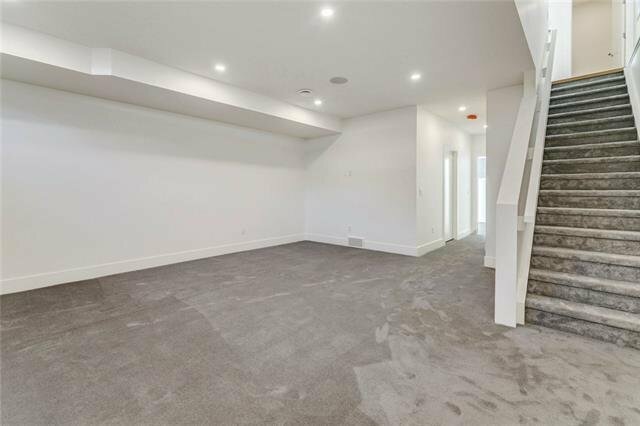 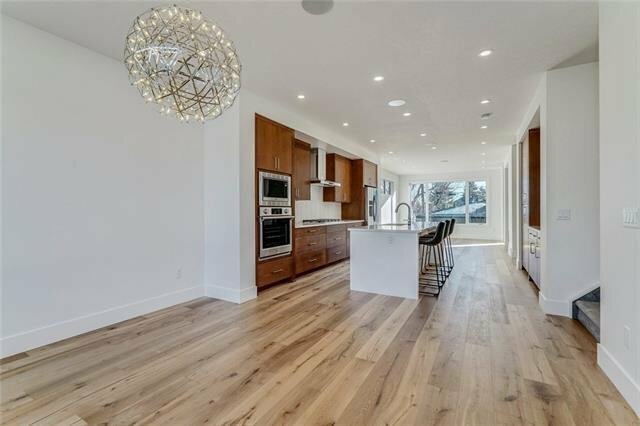 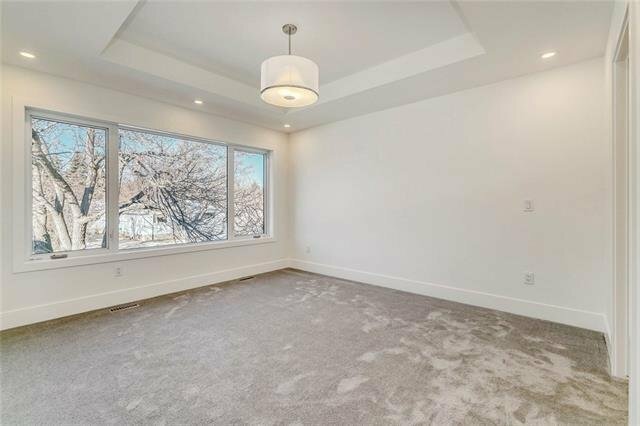 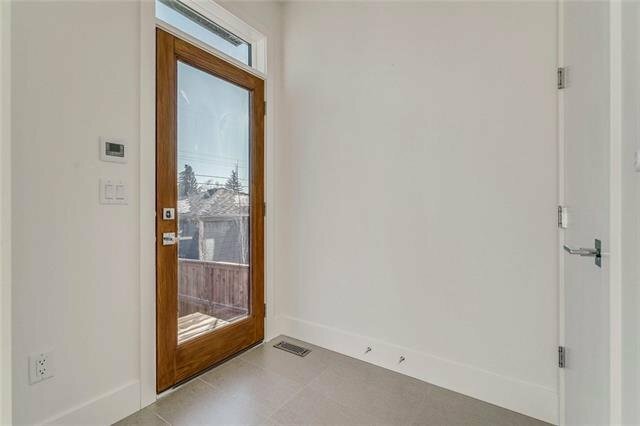 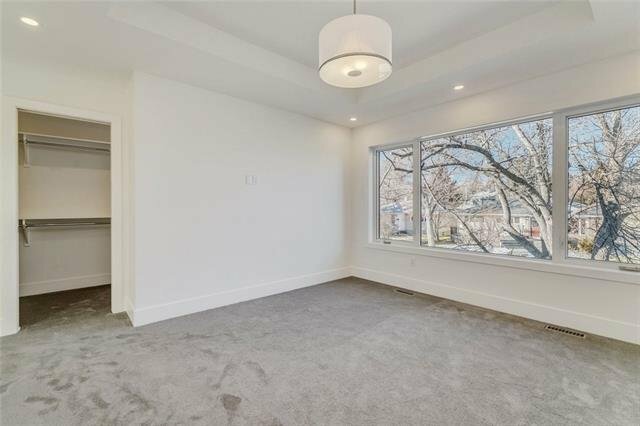 Gorgeous light in this home with huge 9' ceilings on main + basement. 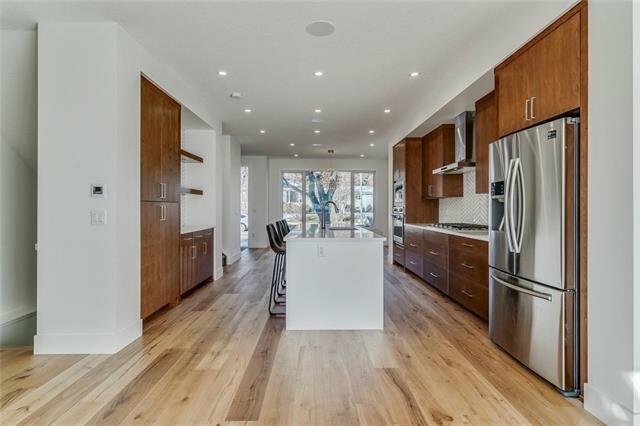 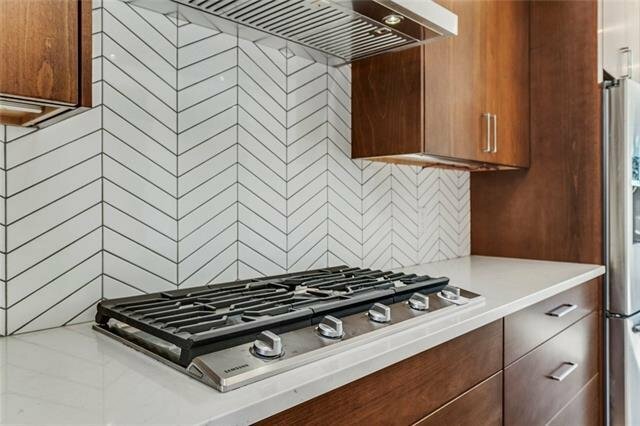 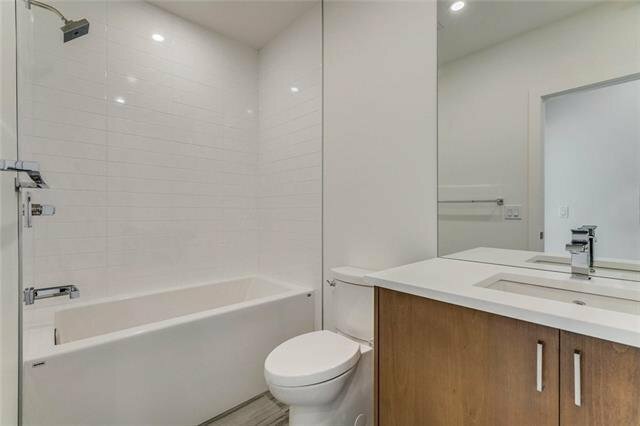 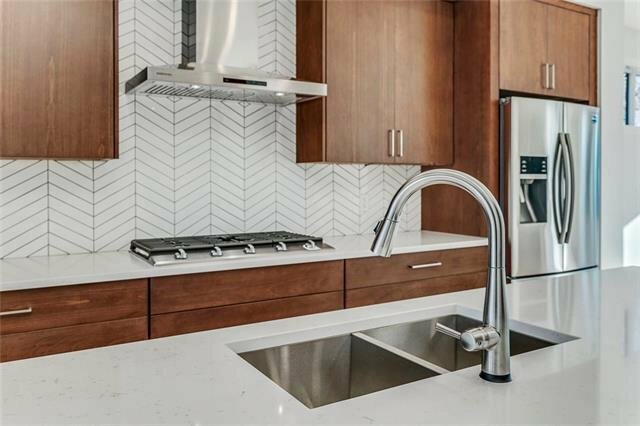 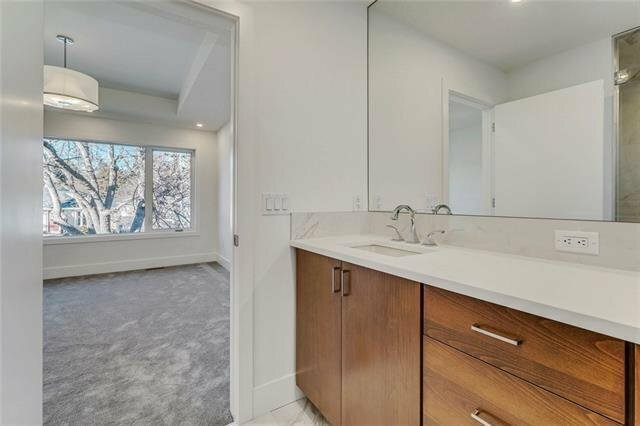 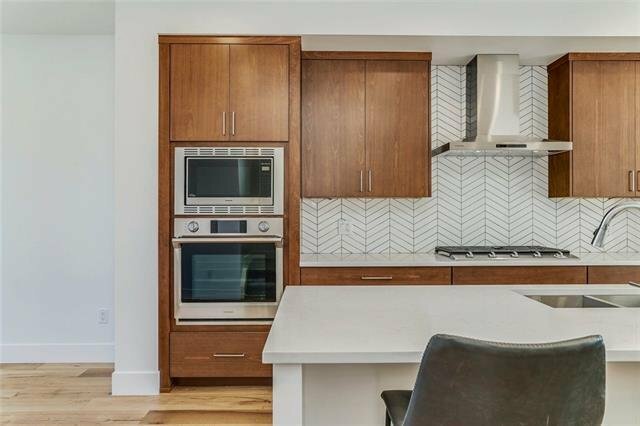 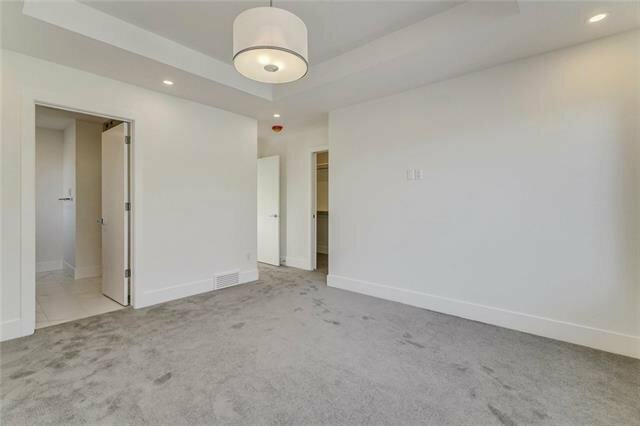 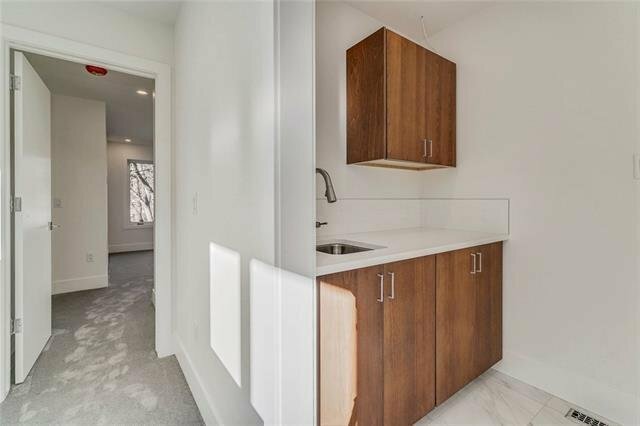 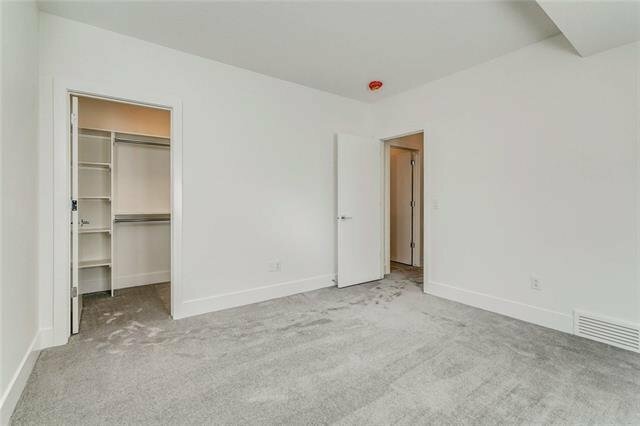 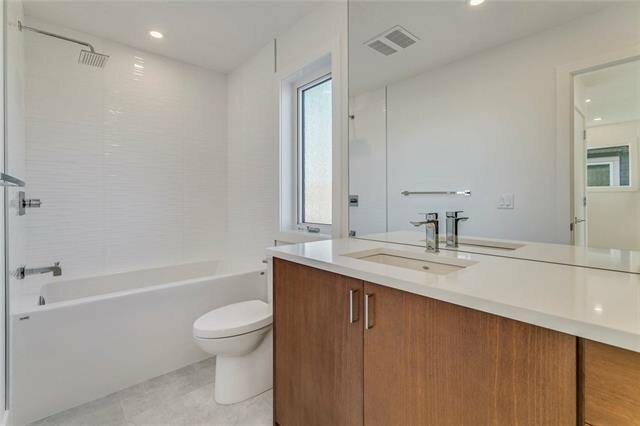 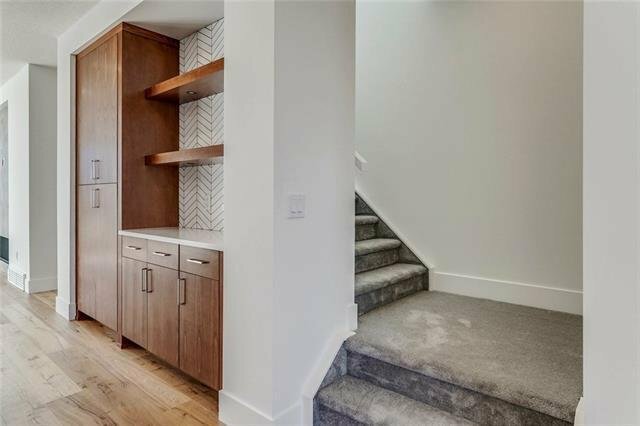 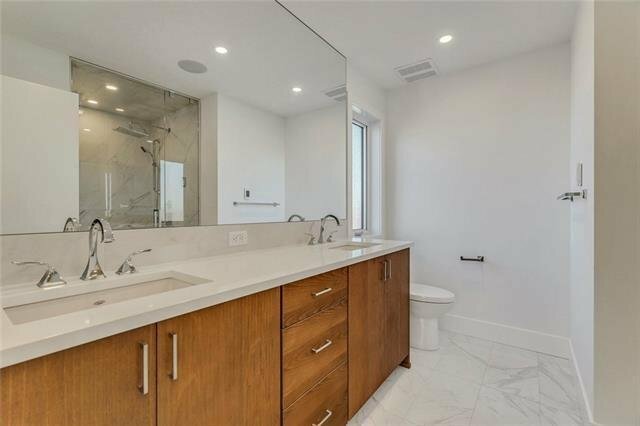 The warmth of the wood cabinets, wood flooring, quartz counters, high end stainless steel appliances encapsulates you upon entry. 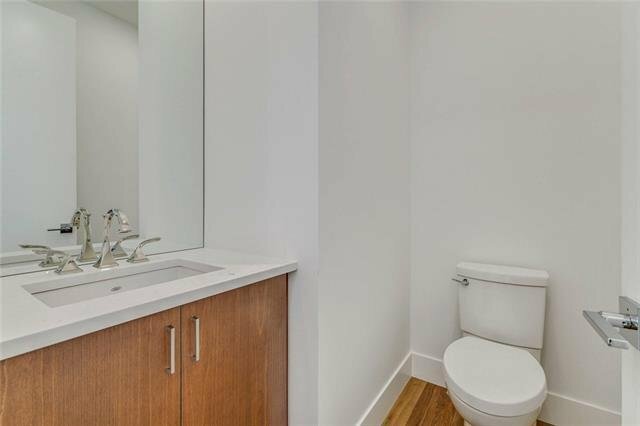 This is a feel good home. 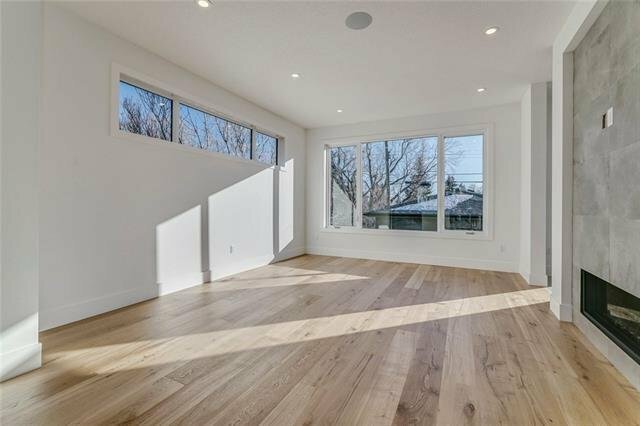 Massive windows along with the open plan from front to back allows for a natural light filled living area. 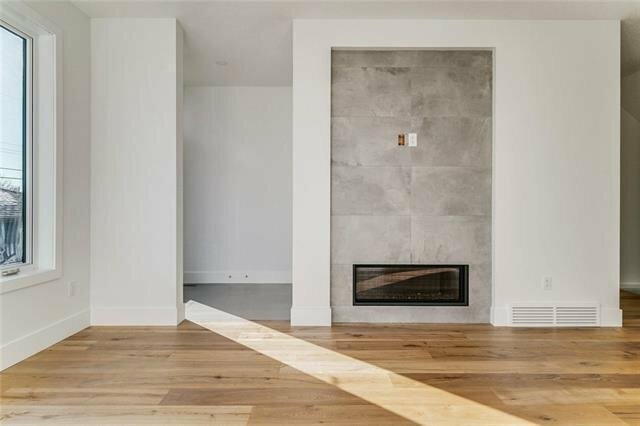 The linear fireplace will keep you warm in the winter & the extensive exposed aggregate patio will provide you with a wonderful outdoor area in the summer. 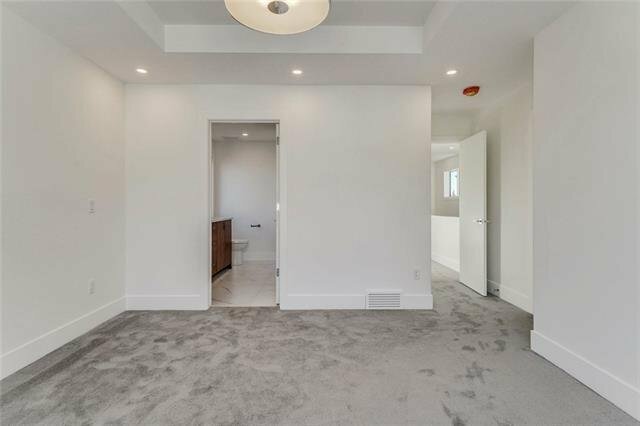 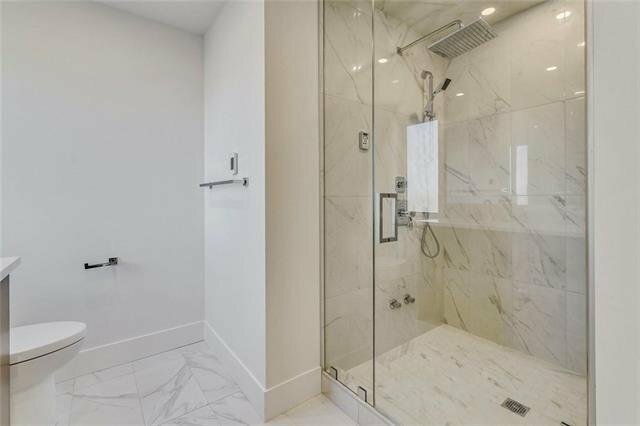 The master bedroom is spacious and includes a huge walk-in closet, deluxe en suite with heated floors, steam shower + his and hers sinks. 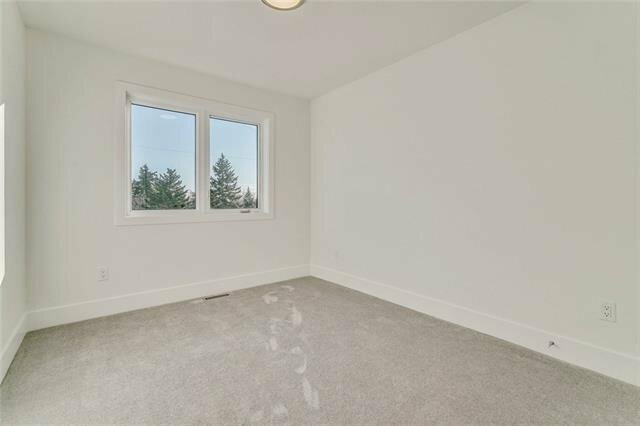 The second and third bedrooms are a good size adjacent across the back of the home. 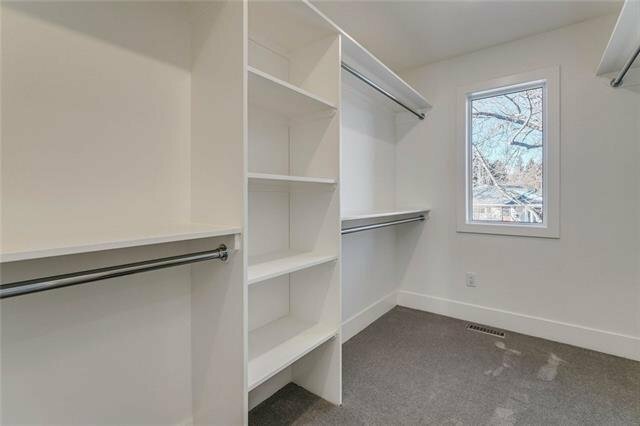 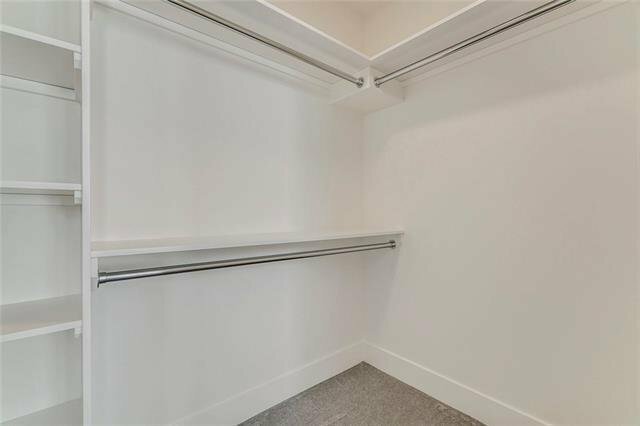 Second storey laundry room includes cabinets and is spacious.